Level up test is almost applied in every work fields also in martial arts world. Level up in martial arts usually base on respective school’s standard, can be several schools set level up’s test standard in fighting match. At 17th and 20th March 2012 Brotherhood of Wing Chun held level up test. This level up was held to know how disciples memorize and apply Wing Chun martial arts. 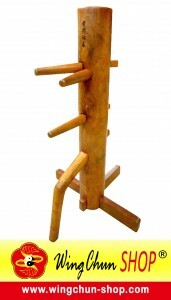 Level up’s material for level 1 consist of Siu Lim Tao and basic technique like punching, blocking, stepping and kicking. For level 2 consist of Siu Lim Tao, Chum Kiu, Punching with Yeung Ma, stepping and kicking. This test was held to know how far their ability, not for boasting and defeating people. This level up test also was intended to see the seriousness of every Wing Chun practitioners so in the future they could be pioneers and became people who could spreaded Wing Chun to the next generations. Every person will face tests in their life, small or big, no matter how big or small tests, we always prepare ourselves in knowledge and mentally so that we can face and get through them.